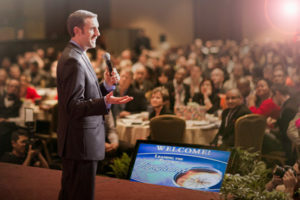 Dr. Burton is an excellent resource for medical societies, conferences, meeting planners and others looking to add appealing, high-yield, actionable content to their next event. Planning an interesting and educational conference is stressful. Dr. Burton will provide engaging and timely presentations on topics like physician burnout, leadership and communication in healthcare to your audience. 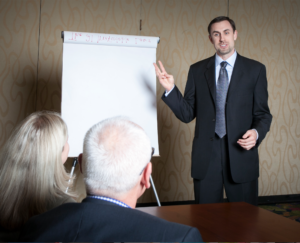 Your attendees will appreciate the practical solutions and actionable steps provided on these important topics. Schedule a conversation today. Through his involvement in local, state, and national medical organizations, Dr. Burton provides outstanding leadership in the healthcare community. He has served as Chair of the Young Physician’s Section of the Florida Medical Association and President of the Escambia County Medical Society among other positions. 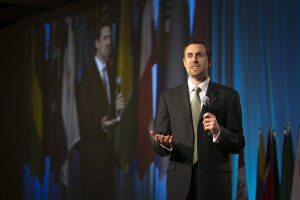 He is also an international speaker, traveling to China as part of a sports medicine delegation to teach local physicians about rehabilitation principles in athletes, and to Guatemala with world-renowned leadership expert John Maxwell as part of an initiative to train over 20,000 leaders. Dr. Burton brings a wealth of knowledge and broad leadership experience to his clients. Dr. Burton is an enthusiastic mentor for residents and medical students. Dr. Burton is a dedicated leader and a great asset to the FMA’s Young Physician Section. to every engagement and opportunity. Dr. Burton is an amazing speaker and has extensive experience to offer Physicians. His coaching skills are second to none, and he can help turn around a practice to become profitable, efficient, and provide quality healthcare. I highly recommend Dr. Burton. Dr. Burton's ... presentation was very helpful and packed with great ideas. We appreciate him sharing his expertise with our listeners. Christopher Burton is a highly motivated healthcare professional who understands the complexities of the current medical terrain. He has separated himself as a leader in the community of healthcare, and people look up to him for advice.